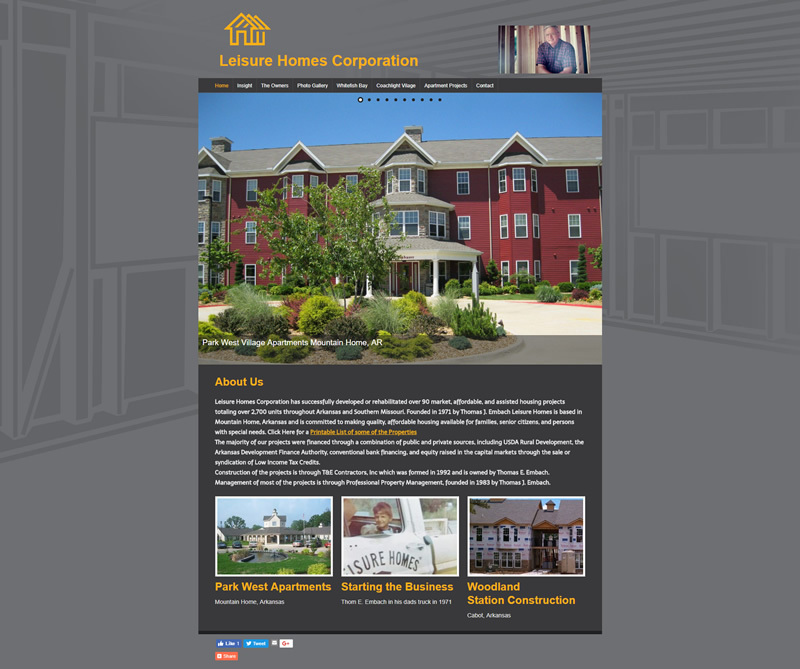 The newly updated website for Leisure Homes Corporation features large images, an easy navigation menu, and an overall clean look. 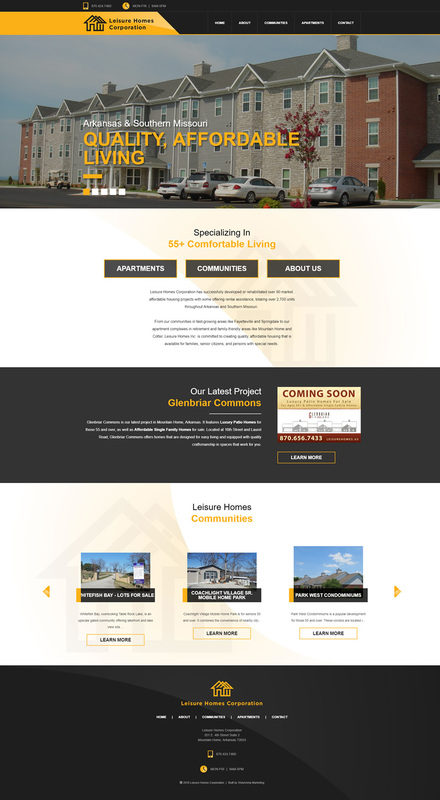 Visitors to the mobile-friendly and responsive website can easily request information about housing communities by filling out an online form. Call-to-action buttons on the homepage also make it easy to find housing information with just a few clicks. Leisure Homes Corporation has successfully developed or rehabilitated over 90 market, affordable housing projects with some offering rental assistance, totaling over 2,700 units throughout Arkansas and Southern Missouri. They are committed to creating quality, affordable housing available for families, senior citizens, and persons with special needs.